The Linx Application Server: Host, execute and manage automated solutions. The Linx Application Server hosts and manages your Linx Solutions. Solutions are deployed to the Server and run as a service, executing automated tasks that take place in the background. Run Anywhere - Whether your company is moving to the cloud or needs to stay on premises, Linx runs wherever you need it to. 1-Click Deploy - Easy to install and get started, the Linx Server is real-world ready. Deploy solutions instantaneously from the Linx Application Designer with one-click deployment. Management and Reporting Tools - All-in-one dashboard to view your entire environment at any time. 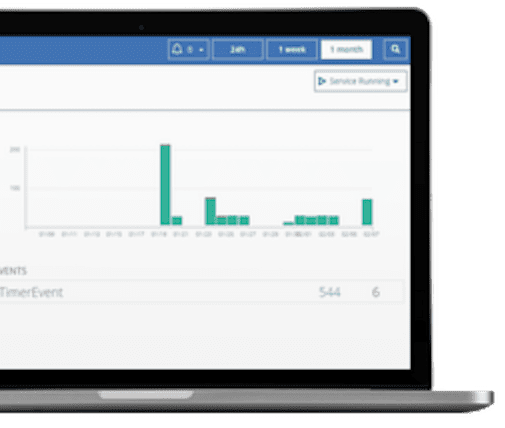 View analytics, event history and error logging for complete control and insight into performance. Automation Made Easy - Triggers processes based on events including message queues and file directory actions. Web Services - Expose your solution as a REST or SOAP web service. Job Scheduling - Schedule processes to run at a specific time or to repeat. Schedule anything from running a data transformation to a complex process flow or just to send regular email reports. Security - Safeguard mission-critical applications from the outset. With proactive measures baked into our technology, you can rest confident that Linx is working hard make sure your data is safe. Choose the environment that best supports your business requirements. Use our cloud or your datacenter. Get up and running immediately without having to provision new infrastructure. Our fully scalable solution meets the needs of your business as you grow. Hosted on Microsoft Azure, Linx will handle all daily operations, security, updates and upgrades. Hosted by Microsoft Azure. Minimum specifications: 2Gb SQL Server database, 32Gb drive, virtual CPU. Deploy as your business dictates, whether it be private cloud or on-premises infrastructure. Control your data and security with easy integration to current systems. Available for Enterprise clients only or for highly regulated industries (on request).